Manuka Doctor Active Manuka Honey is naturally and responsibly sourced in New Zealand and is considered the finest quality. Manuka Doctor's new premium quality and strength Manuka Honeys are for the customers who are looking for a stronger honey with high levels of antimicrobial activity. Laboratory tests have shown that MGO displays antimicrobial properties and its level within Manuka honey can be related to killing of some bacteria. Manuka honey is a sticky golden indulgence that not only tastes delicious but is also strongly rumoured to aid your general wellbeing. 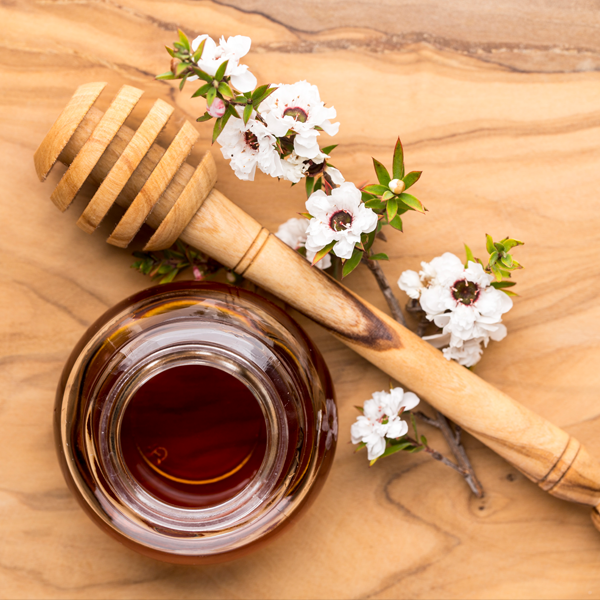 Collected in special beehives, Manuka honey possesses suggested qualities and powers that are well documented on the internet - as well as being a treat for those with a sweet tooth. Manuka honey is a monofloral honey, so-called because the bees that make it gather pollen from the Manuka bush (Leptospermum Scoparium). The plant is indigenous to New Zealand, beekeepers set up their hives in wild uncultivated areas in which Manuka bushes grow. And what’s even better is the honey is enriched because of the pollution free environment of New Zealand. Our premium quality monofloral honey is a stronger Manuka honey with higher MGO levels and a higher antimicrobial activity. What Rating Level Should I Buy? The number on the front is a measurement of the amount of MGO in each pot. 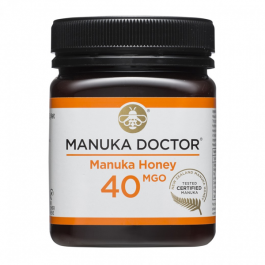 So for example Manuka Doctor 340 MGO, has 340mg per kg of MGO in the pot you’ve purchased. There is no direct comparison between Total Activity Rating (TA) and Methylglyoxal, but we would suggest you use the table below as a guide. 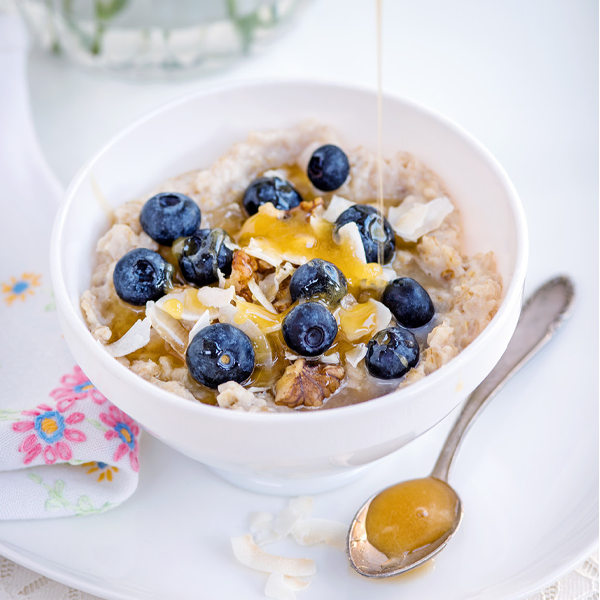 In hot weather we recommend that Manuka honey is refrigerated to maintain a thick, golden consistency. If your honey does become runny then simply chill for a few hours. With independent testing by a leading authorised laboratory in New Zealand and FERA labs in the UK, our ratings are reliable and assured. You can view the batch certificate for your Manuka honey using our Find my batch search tool. Oritain is an international company working with honey producers globally to verify and certify the origin of honey based on ‘chemical fingerprints’. The origin of Manuka Doctor honey has been independently and scientifically certified by Oritain. 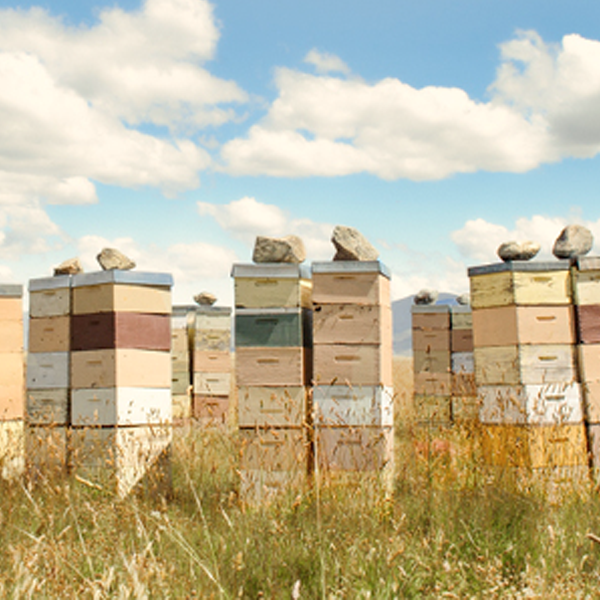 Oritain has collected, analysed and archived samples of their honey and determined the geochemical specifications, which are consistent with a New Zealand origin. Products bearing a genuine label have been certified as an authentic product from Manuka Doctor. What does active Manuka honey mean? What do we mean by 'Active' Manuka Honey? When honey is diluted, a special enzyme the bees have added produces hydrogen peroxide, a well-known antibiotic. Manuka Honey has been found to have an antibacterial activity in addition to hydrogen peroxide. What is the difference between honey and Manuka honey? Manuka Honey is honey that bees have produced using the flowers of the Manuka tree. Manuka honey contains an extraordinary enzyme called methylglyoxal (MGO). This property is unique to Manuka honey and is not found in any other type of honey. What do the letters and numbers mean on a Manuka Honey Label? The varying sets of letters on a Manuka honey label refer to different quality grading systems and the numbers refer to the level of anti-bacterial action compared to phenol (a disinfectant) in water: the higher the number, the greater the action. NPA refers to Non Peroxide Activity and is a measure of anti-bacterial action in addition to that of hydrogen peroxide. NPA is unique to Manuka honey, therefore it is the same as UMF® testing, but without the logo.